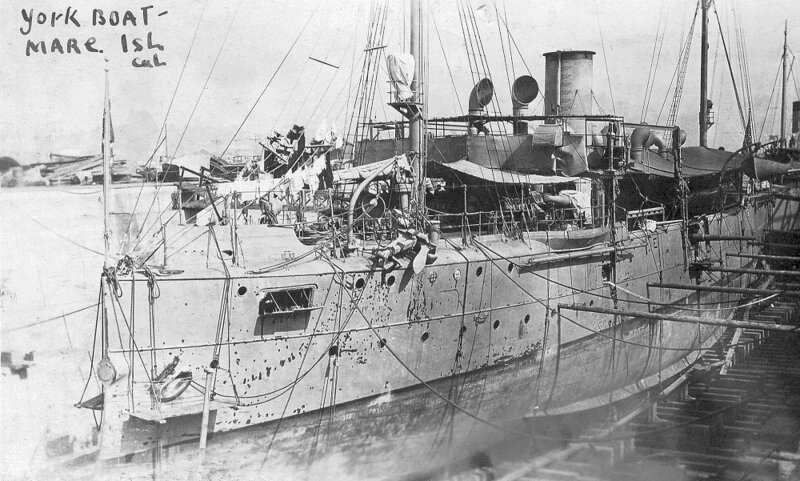 Struck from the Navy list 30 September 1921 and scrapped at the Union Hide Co. of Oakland, CA. 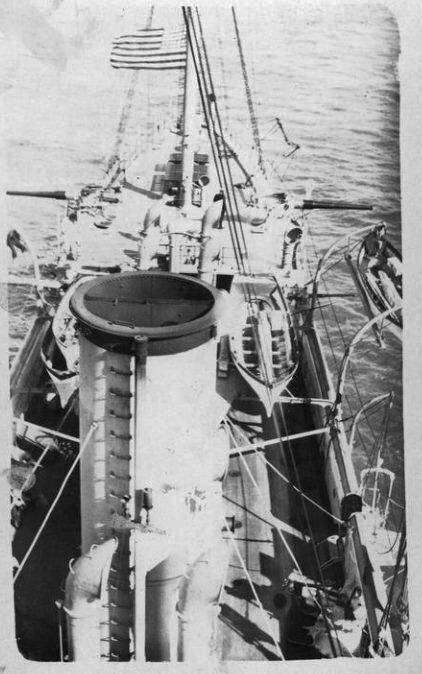 1914 - Four Marine locomotive boilers. 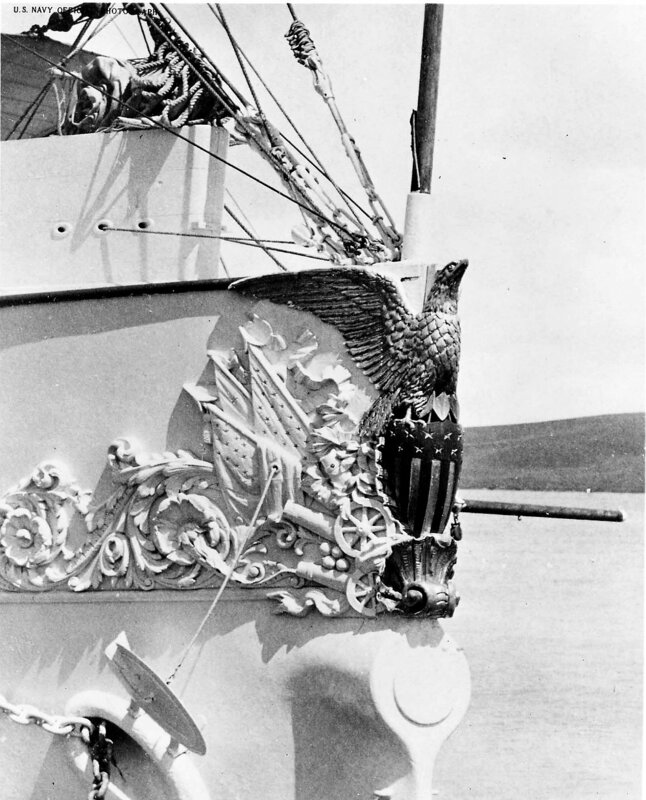 270k Yorktown's figurehead taken at Mare Island in 1903. 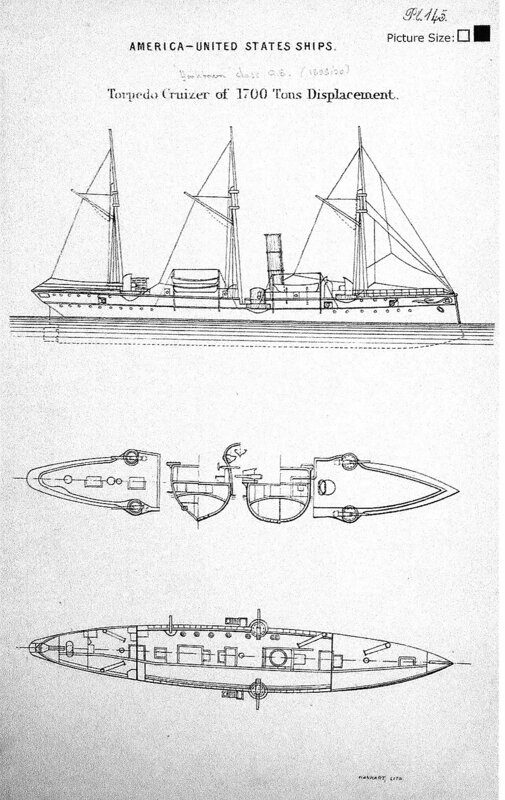 180k Broadside view of Bennington (Gunboat No. 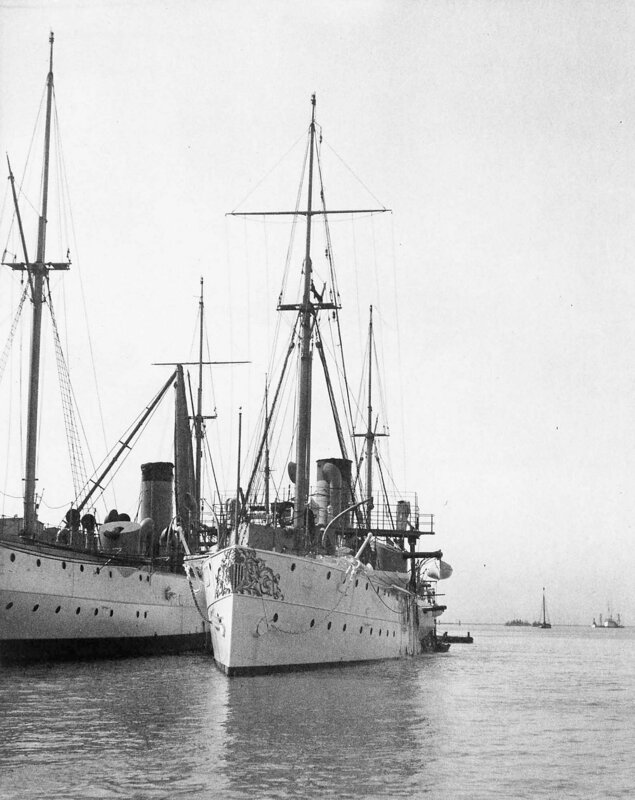 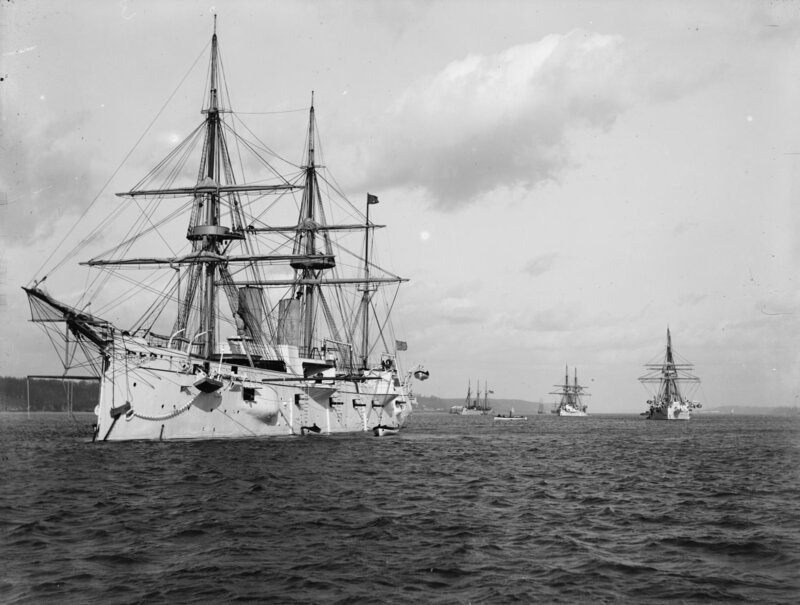 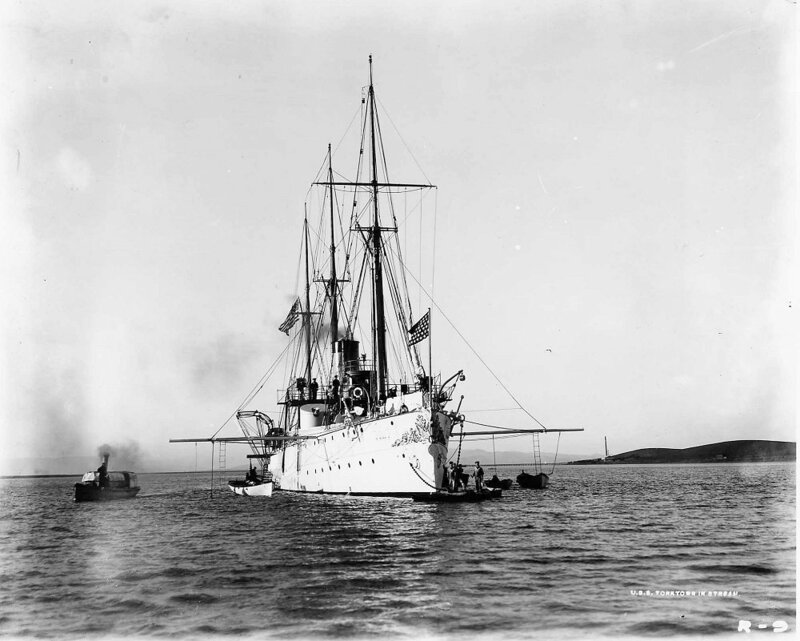 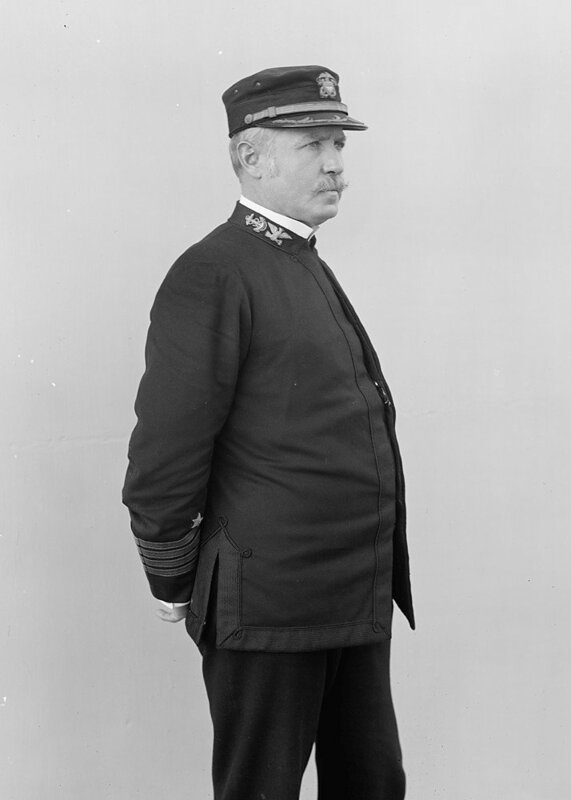 4) at Mare Island in the spring of 1903. 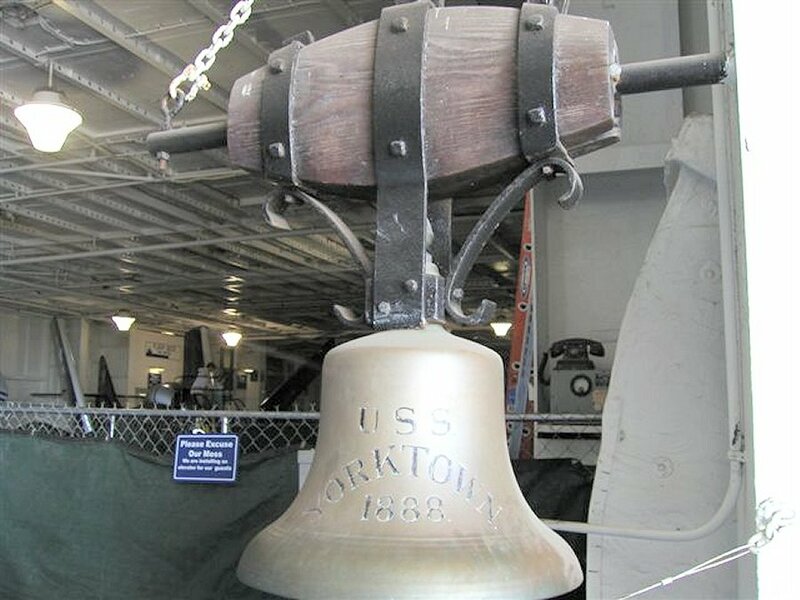 Yorktown is inboard. 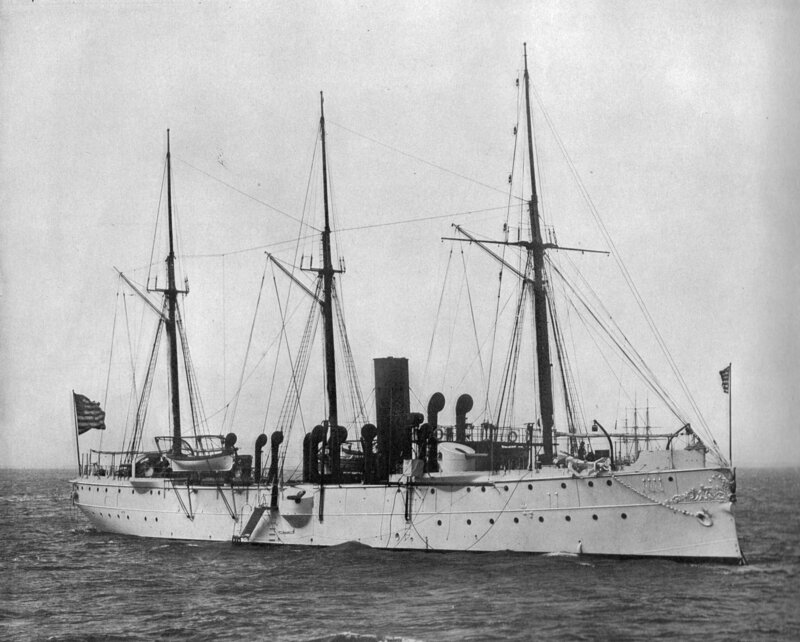 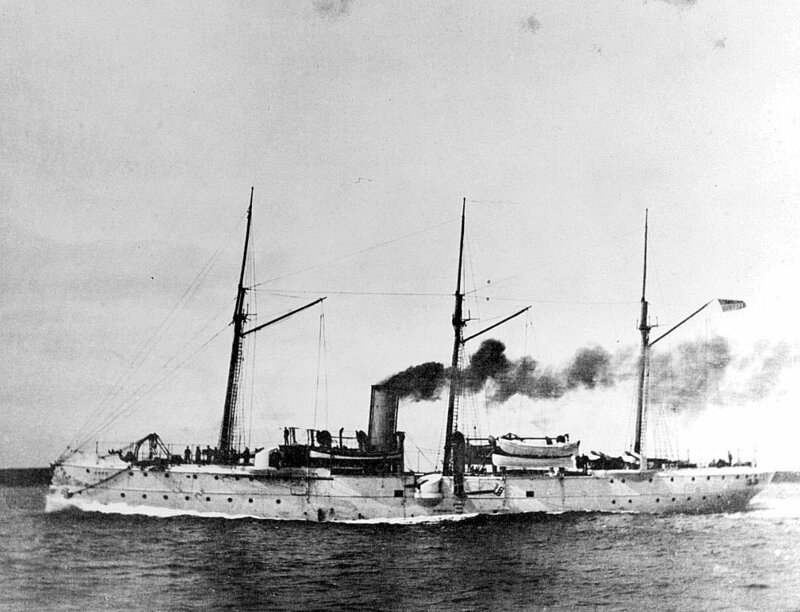 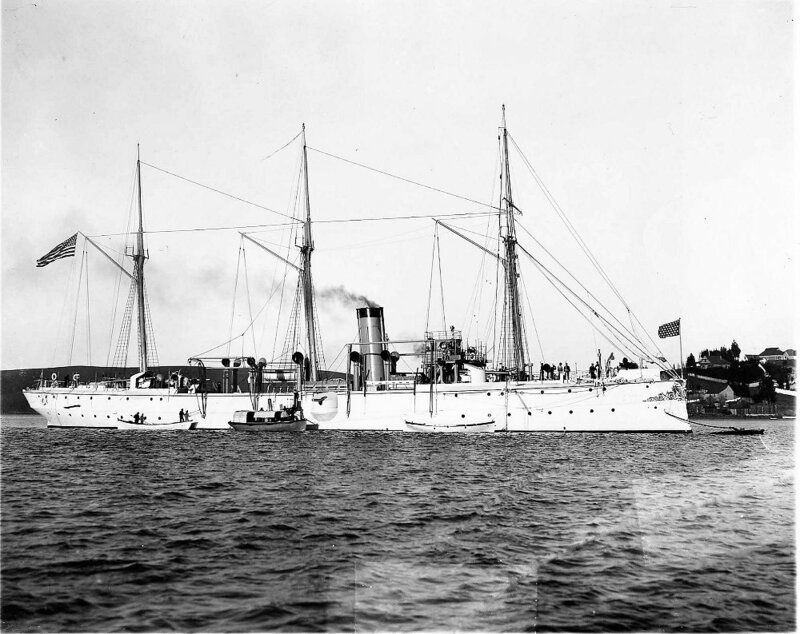 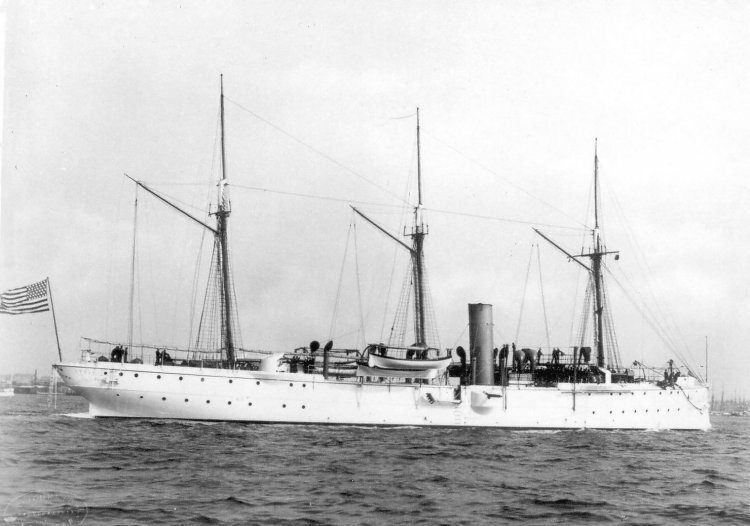 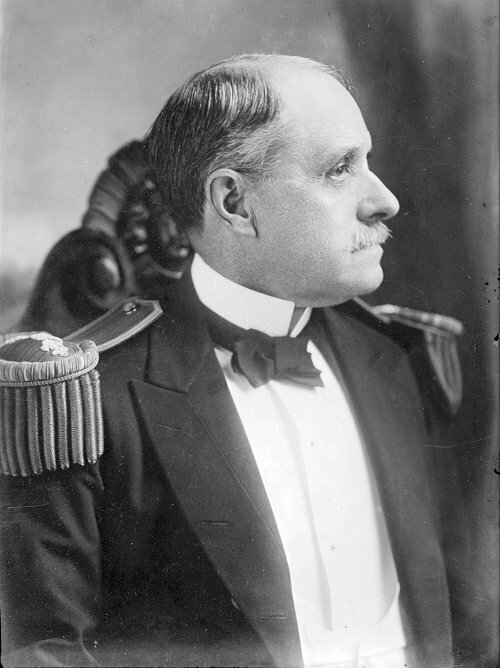 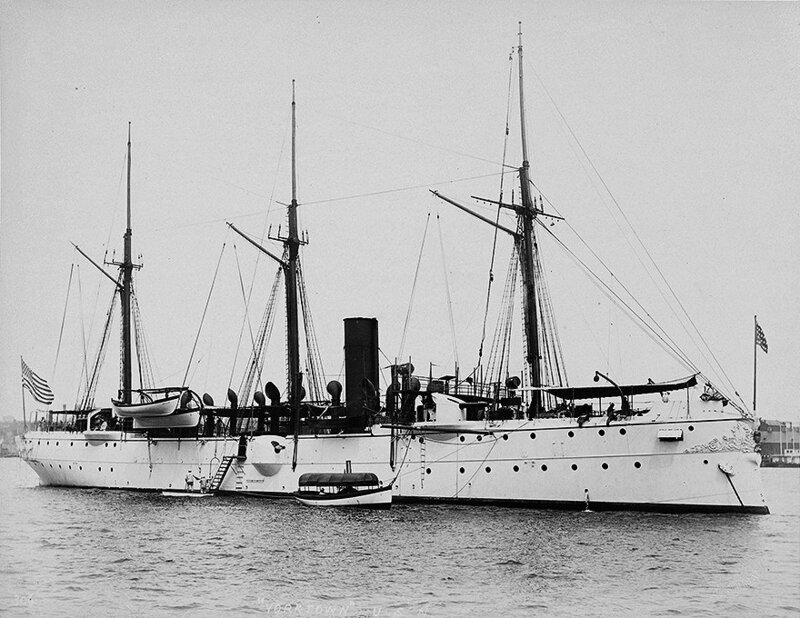 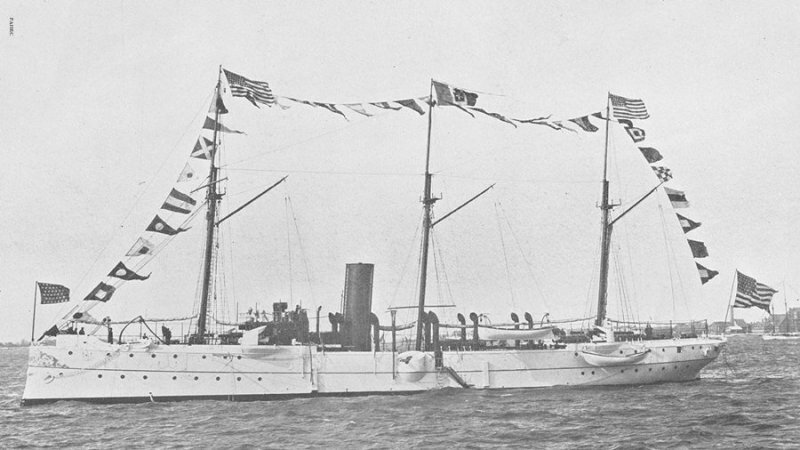 238k USS Bennington (Gunboat No. 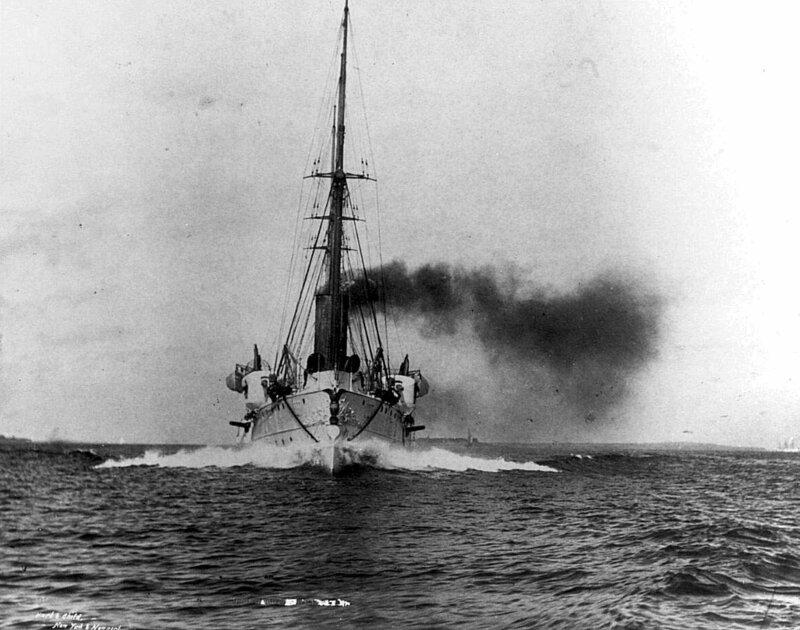 4) at Mare Island in the spring of 1903. 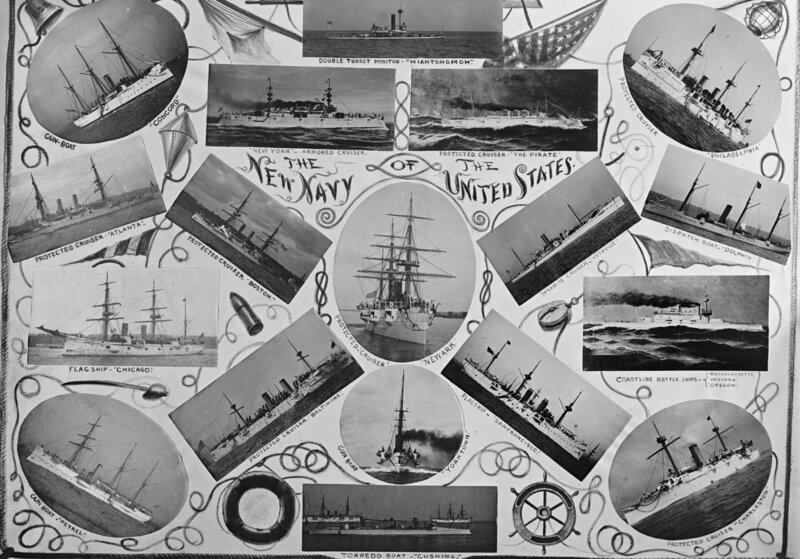 The Yorktown is inboard. 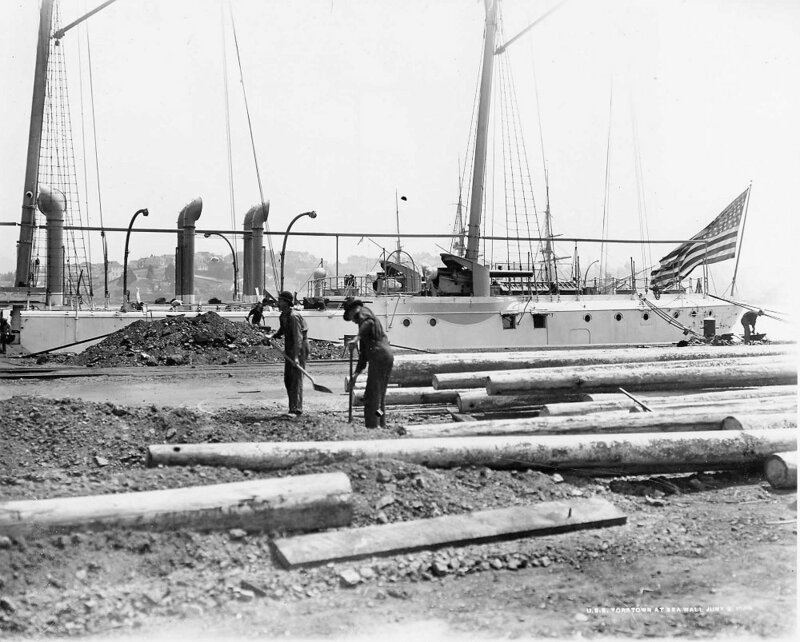 188k Stern of Yorktown at Mare Island sea wall 8 June 1903. 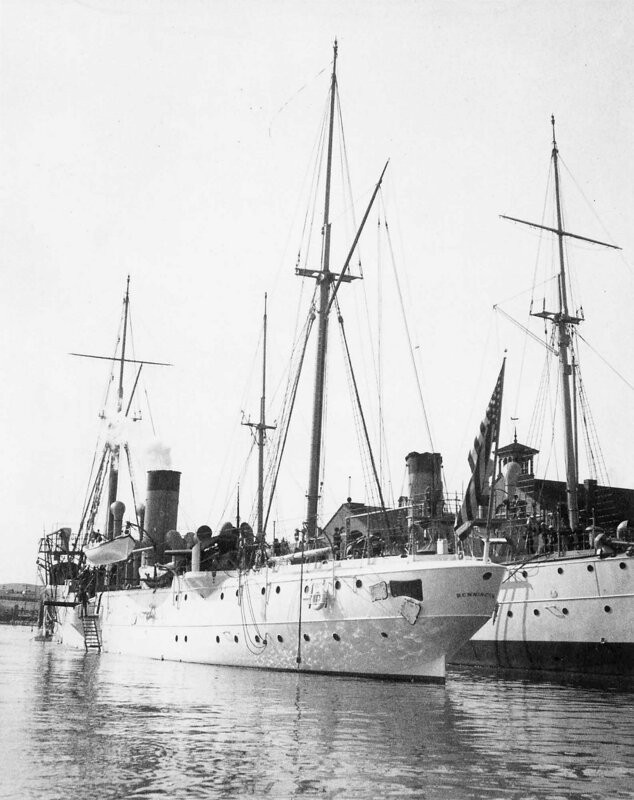 137k Yorktown moored in Mare Island channel in 1903. 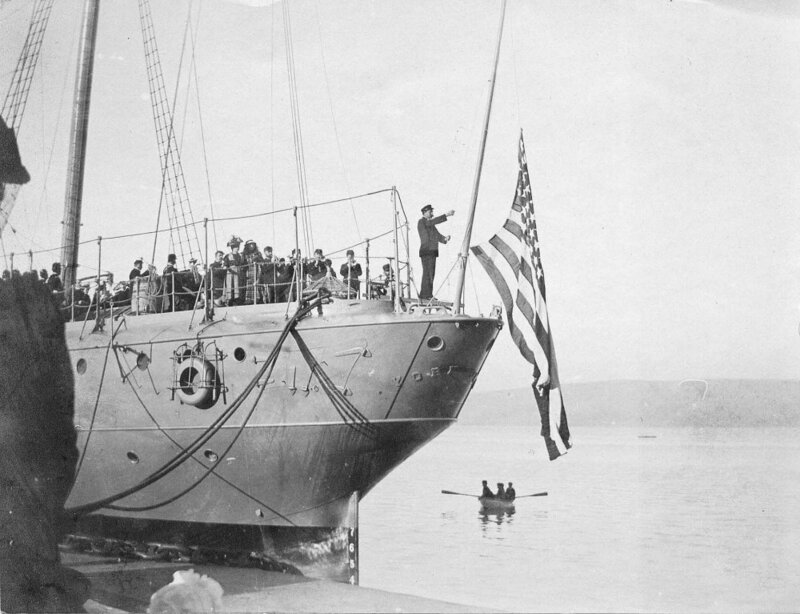 152k This photo dated 1903 but believe it is a photo of the recommissioning ceremonies aboard Yorktown in 1906 at Mare Island. 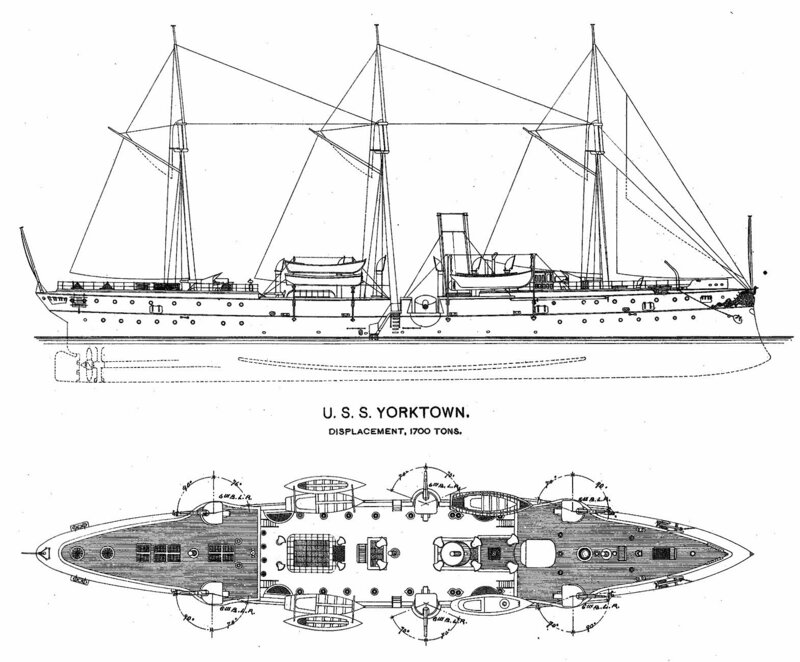 209k View of Yorktown in Dry Dock No. 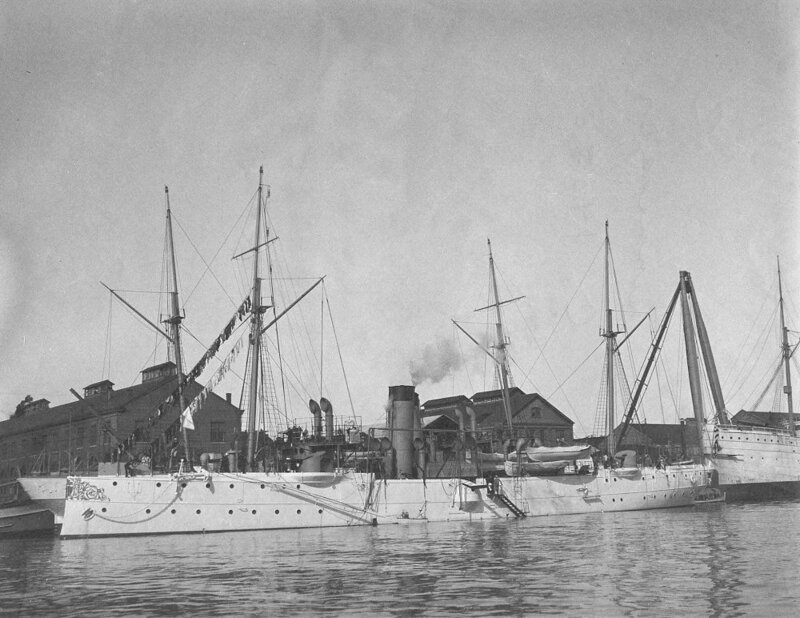 1 at Mare Island in 1917. 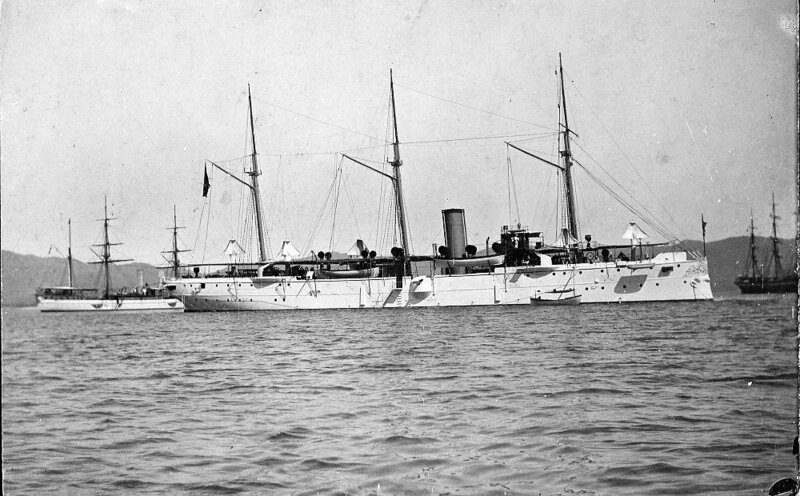 Shipyard records indicate she was in dock with USS Chattanooga (C 16) from 23 - 28 March 1917.